Experience the Egypt of the Pharaohs, including the pyramids of Giza and the Sphinx. Then get an insider look into Christian and Islamic Cairo on a private tour led by Christian and Muslim guides. From your hotel your professional guide will take you on a private tour of Pharaonic Egypt beginning with the Pyramids of Giza. The Great Pyramids are the oldest of the original seven ancient wonders of the world and the only one still in existence. You’ll have the option to enter the Great Pyramid, take a camel ride from the Great Pyramid to the Sphinx, and visit the Boat Museum. Have lunch near the pyramids followed by an afternoon visit to the Egyptian Museum, home of countless ancient relics including King Tutankhamun’s gold. 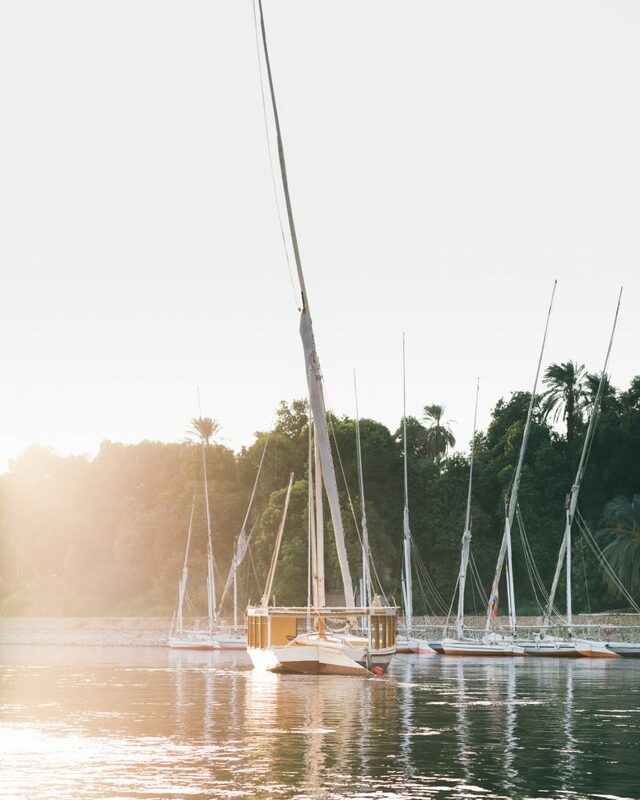 After an optional visit to the museum’s Mummy Room, you will enjoy a sunset sail in the traditional Felucca boat on the Nile River. After breakfast in your hotel you will meet your Christian Egyptian guide. Often overlooked, Egypt has a rich Christian history. Your guide will take you on a tour of the Old Coptic Cairo (Hanging Church). Then head to the Muqatim ‘rubbish dump’ cave churches. After lunch you will meet your Muslim guide and hear about Islam in Egypt. Drive to the Citadel with your guide, and enjoy the history and the wonderful views of Cairo. You’ll have dinner near the bazaar before returning to your hotel for the evening.